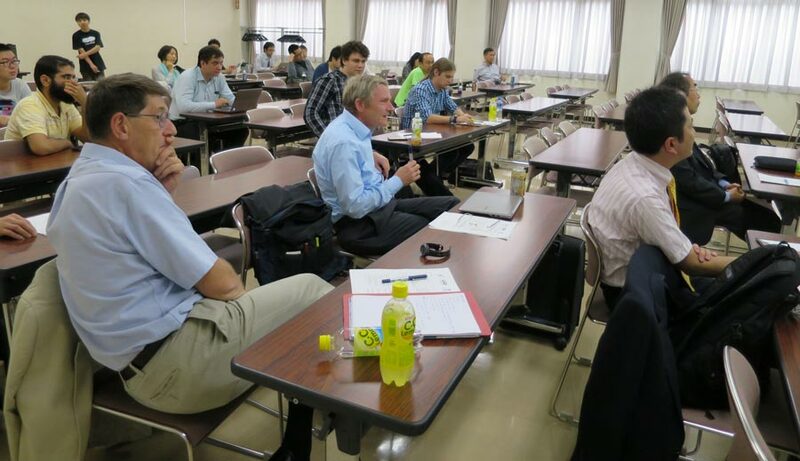 An open workshop was held on Fri. 12th September 2014 at the Institute for Materials Research, Tohoku University, Sendai. Many of members of the HARFIR project were present along with 3 invited speakers and several people who are interested in the subject – with total attendance of 36 (22 of whom were not involved in HARFIR). We had very variable discussions over the talks and excellent networking during the breaks. After an opening by Prof. Koki Takanashi from Tohoku University, leader of the Japan side of the project, Prof. Kazuyuki Kuroda made an opening address as a program officer of the Japan Science and Technology Agency. He explained the framework of the Strategic International Collaborative Research Program which includes the HARFIR project. He emphasised the importance of interaction among the Japanese and European groups. The first talk was made by Prof. Atsufumi Hirohata from the University of York. As leader of the Europe side of HARFIR, Prof. Hirohata gave an overview of the project. The next four talks were from various members of the HARFIR Project. Prof. Kevin O’Grady from the University of York introduced the York model for the exchange bias system and discussed the magnetic properties of the Heusler alloy films pinned by IrMn, including their microstructures. Prof. Koki Takanashi then reported recent progress of the material developments for the HARFIR project. Dr. Sergii Khmelevskyi from Budapest University demonstrated theoretical works on several kinds of antiferromagnetic Heusler alloys. He discussed the exchange constant and the Néel temperature of the alloys. Prof. Kanta Ono from KEK introduced the synchrotron facilities for XMCD measurements and neutron diffraction experiments. He reported several experimental results obtained by his group. During the lunch break, the project members and the invited speakers had an informal meeting with a lunch at the University cafeteria. After lunch, Prof. Günter Reiss from Bielefeld University gave the first talk of the afternoon session. He demonstrated recent progress on the tunnel magnetoresistance effect and spin transfer phenomena in magnetic tunnel junctions. The following three talks were given by the invited speakers. 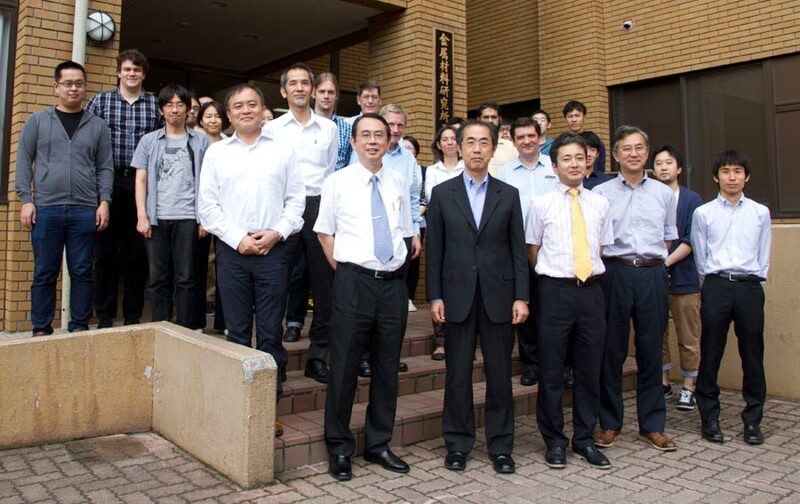 Prof. Masakiyo Tsunoda presented a series of experimental results on Ir-Mn/Co-Fe exchange biased samples. Prof. Tsunoda demonstrated microscopic understanding of the exchange bias, including a theoretical model developed by his co-workers. The second invited speaker was Prof. Masafumi Shirai from Tohoku University. Prof. Shirai discussed electric field effects on perpendicular magnetic anisotropy of Heusler alloy ultra-thin films based on his ab initio study. As a final speaker of this workshop, Prof. Nobuki Tezuka demonstrated the experimental results of spin injection into GaAs from Co2Fe(Al-Si) Heusler alloy. Finally, the workshop was closed at 4pm by Prof. O’Grady thanking all the participants.